The casting of Donald Glover as Lando Calrissian has thrust the upcoming untitled Han Solo A Star Wars Story film into the spotlight this week. But while all eyes have been on Glover, we needn't forget the man who will be playing the young Han in the upcoming film. 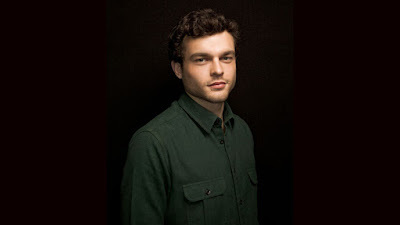 Alden Ehrenreich, who was announced as the star of the film back in July at Star Wars Celebration, spoke with Michael Martin for Interview Magazine about his career so far and Ehrenreich shared some details about what it was like to join the Star Wars galaxy in such an iconic role. MARTIN: What kind of prep have you been doing? EHRENREICH: Well, I had an audition process that went on for a long time, and I got to spend a lot of time with the guys who are directing the film. Getting to be around them and being around the world a little bit has been the main experience so far. I did my audition on the Millennium Falcon for one of my screen tests, which was pretty cool. MARTIN: Was that another surreal moment? EHRENREICH: Yeah, for sure. I think so many of the experiences that I've been lucky to have so far have been exactly that. It's been so surreal that at a certain point you stop expecting them to feel real at all. MARTIN: So the Star Wars phenomenon is massive, to say the least. Now you're in no danger of being forgotten. You're always going to have a place in movie history. How do you feel about that? EHRENREICH: I'm just excited to be a part of the movie. It's always the particulars that are the most exciting. The idea of it is really exciting, but the most fun part is the actual job you get to do: the character that you get to play, the people that you work with, the day-to-day experience. I haven't started this yet, but that's where I feel the most grateful. MARTIN: You mentioned auditioning on the Millennium Falcon. What was the audition process like? Was it grueling? EHRENREICH: Not really. It was pretty fun, because I enjoyed the material a lot. Last year I read for the directors, then came to England and did a test on the Falcon, then came back and did a couple more screen tests in Los Angeles. MARTIN: Speaking of keeping someone else's style in or out of your head, has Harrison Ford communicated with you at all? EHRENREICH: No, I haven't met him. MARTIN: What do you want to bring to the character? It's so iconic. EHRENREICH: I don't really have a good answer to that quite yet. It's still kinda early for me. MARTIN: Were you a fan of the films? EHRENREICH: Definitely. I remember pretending to be the characters in the movies when I was a little kid. The last three movies I've done, I played a cowboy, then I played a soldier, and now I play Han Solo. So the little kid in me is having a real joyride. You can read the entire interview with Ehrenreich, where he further discusses his career so far and shares a few more details about how he approached the audition process for Han Solo, over at Interview Magazine. Alden Ehrenreich stars as Han Solo, alongside Donald Glover as Lando Calrissian, in the untitled Han Solo A Star Wars Story film coming in 2018 from directors Phil Lord and Chris Miller, and writers Lawrence and Jon Kasdan.